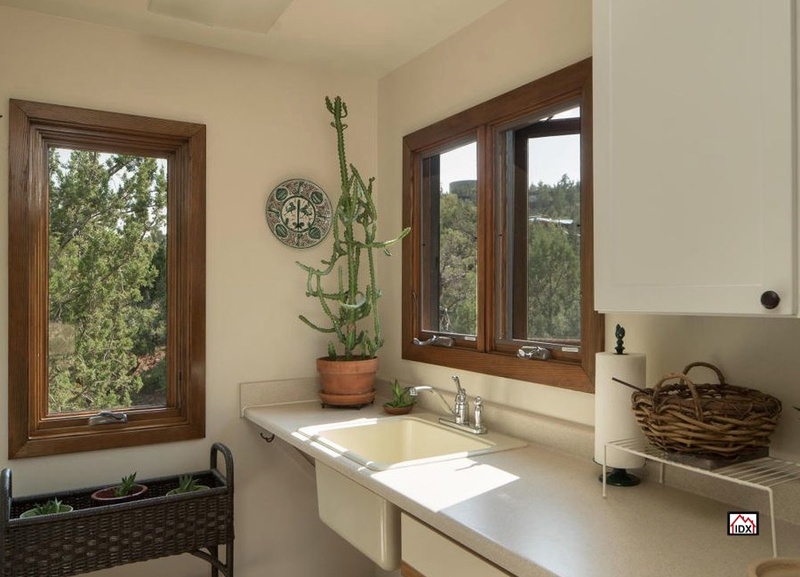 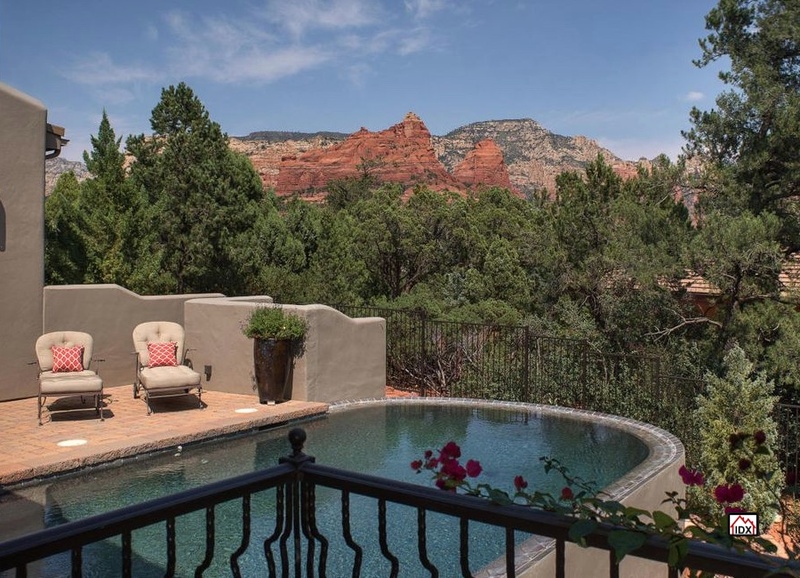 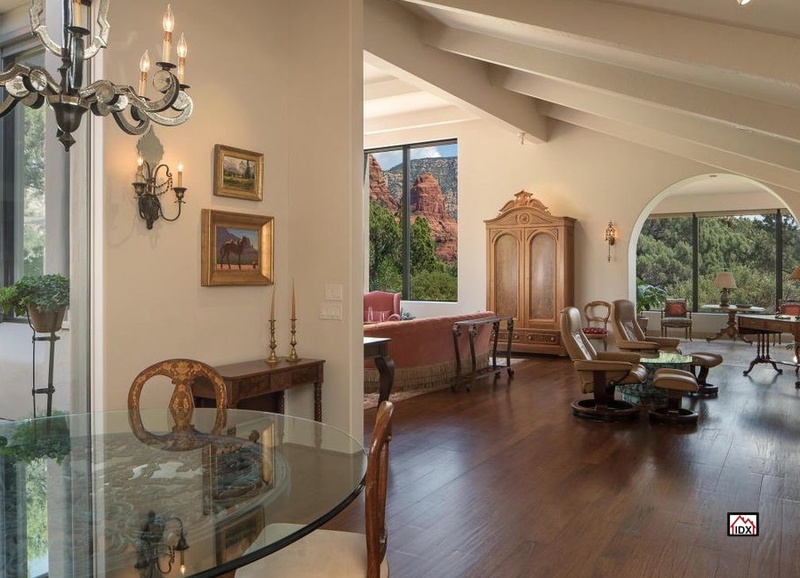 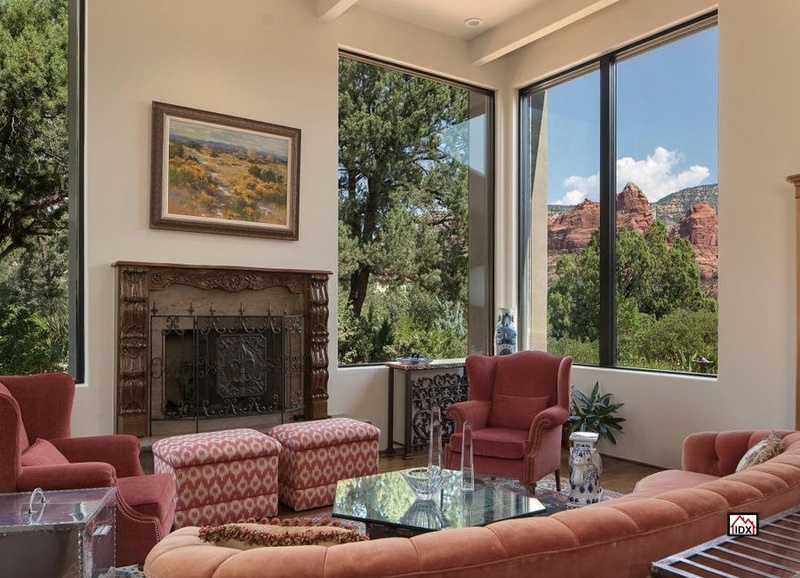 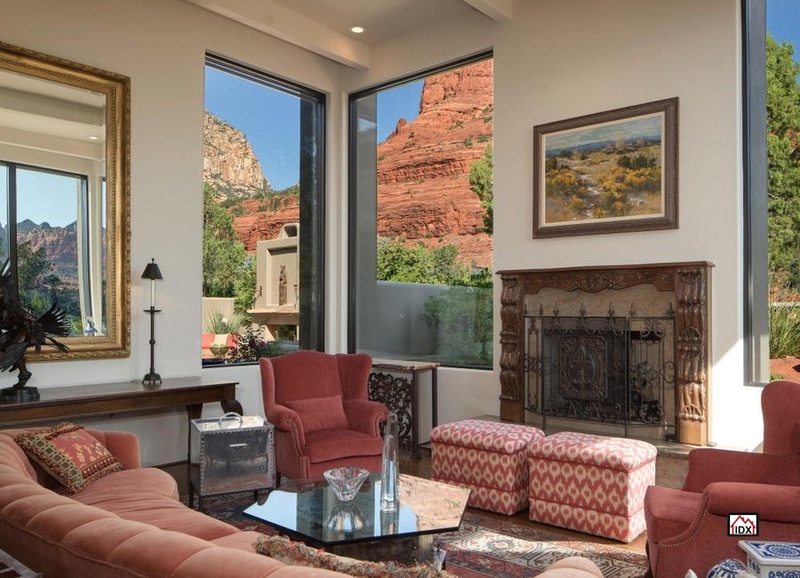 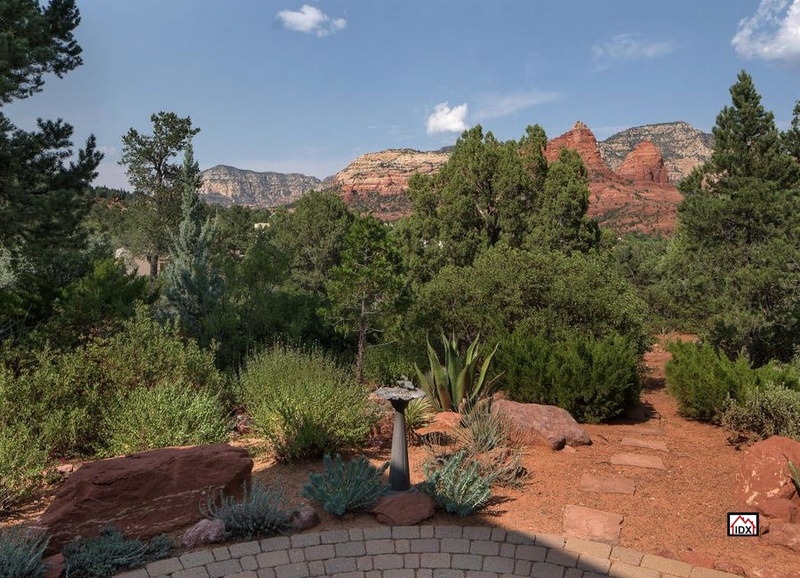 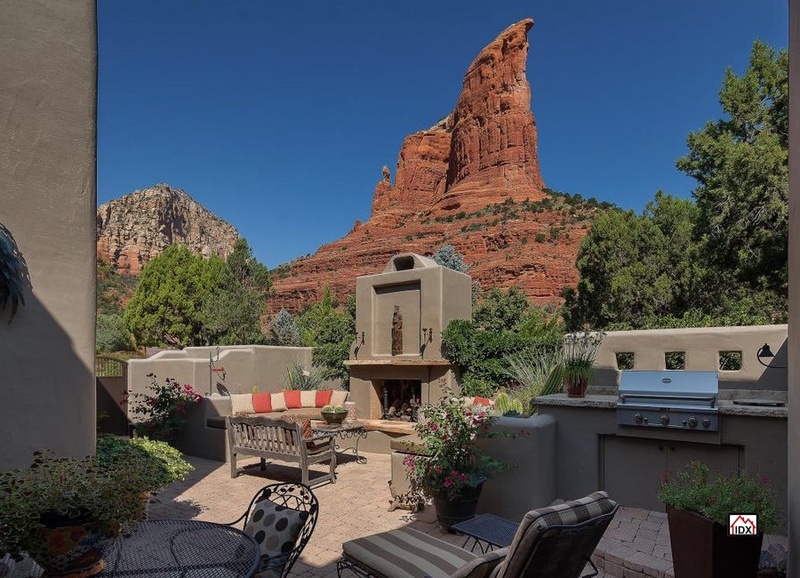 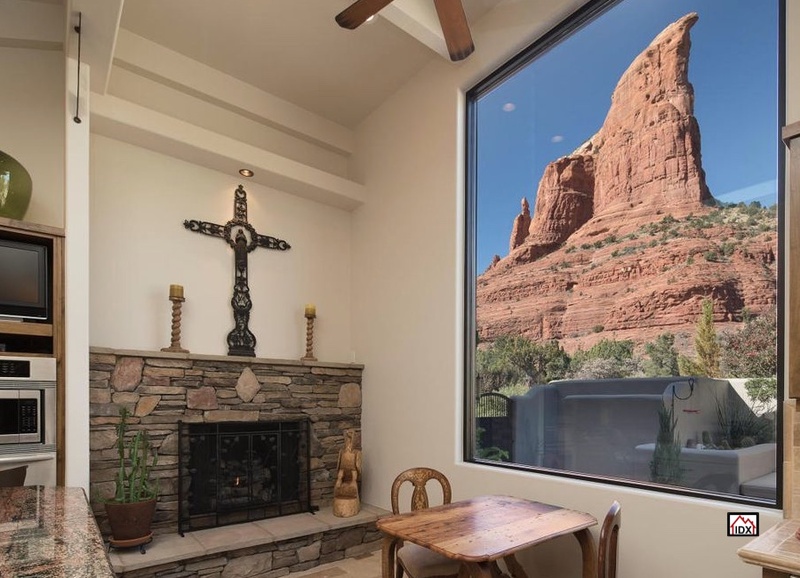 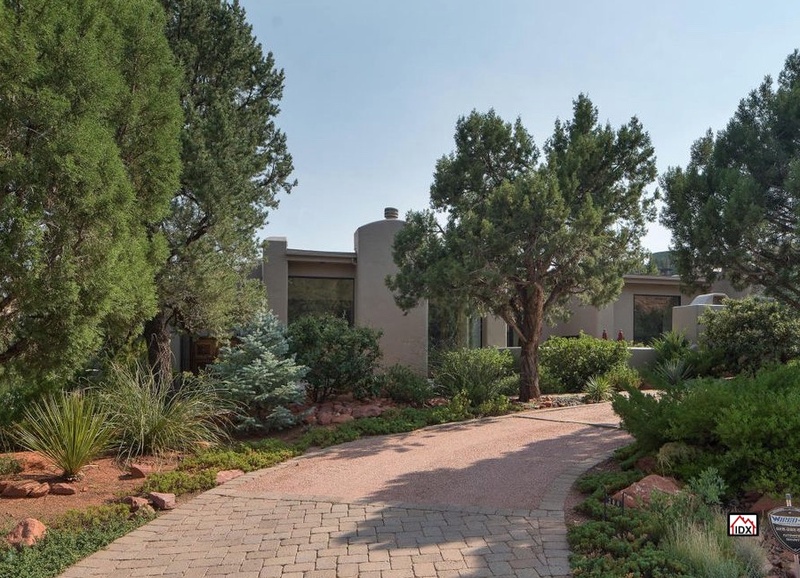 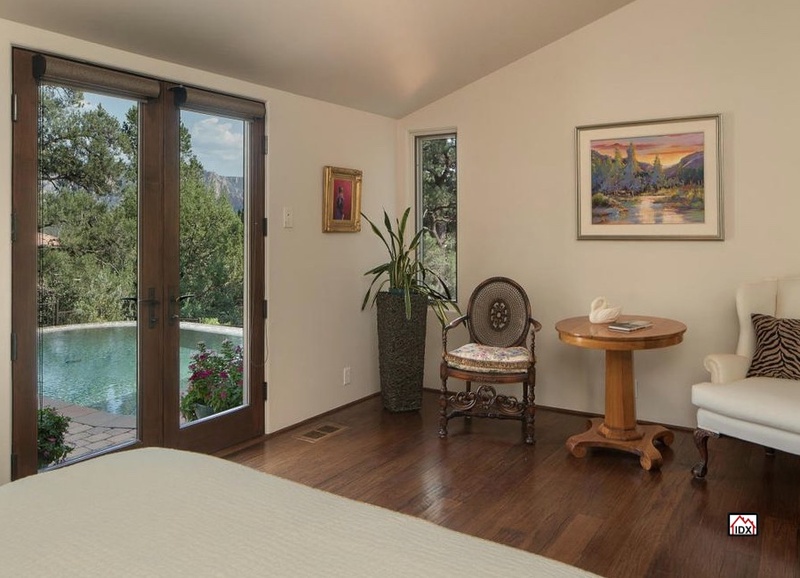 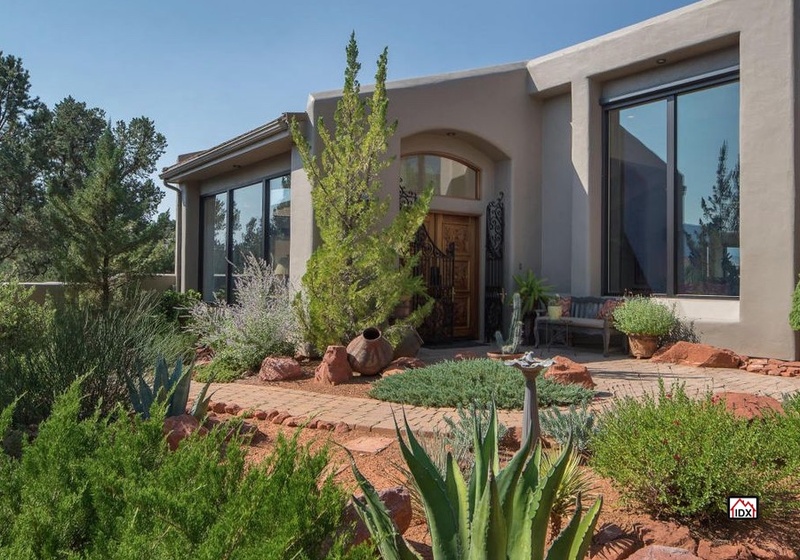 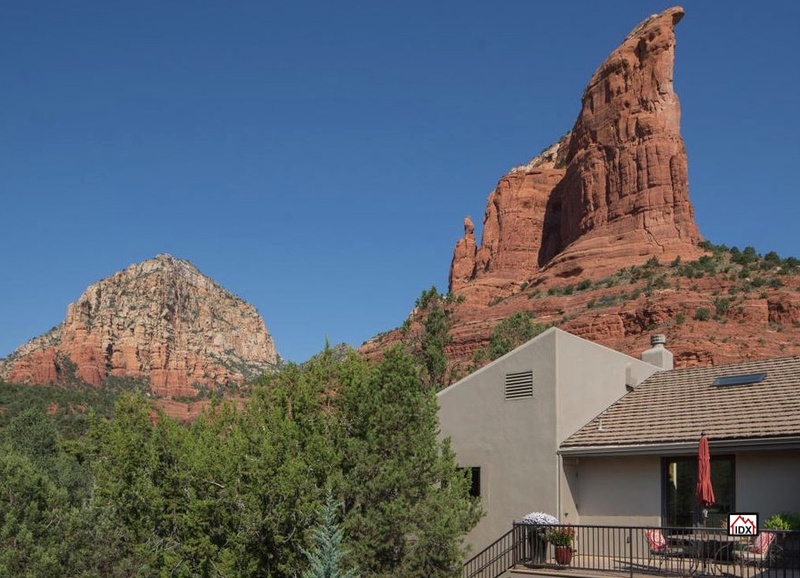 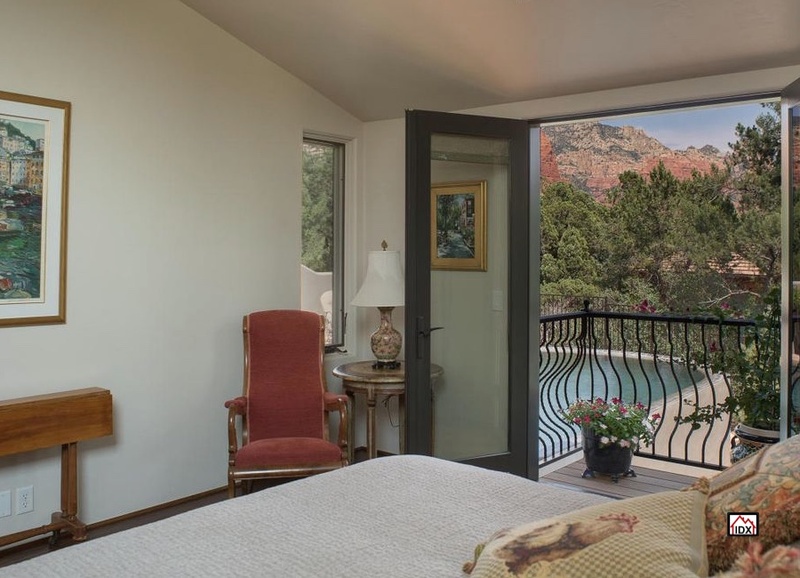 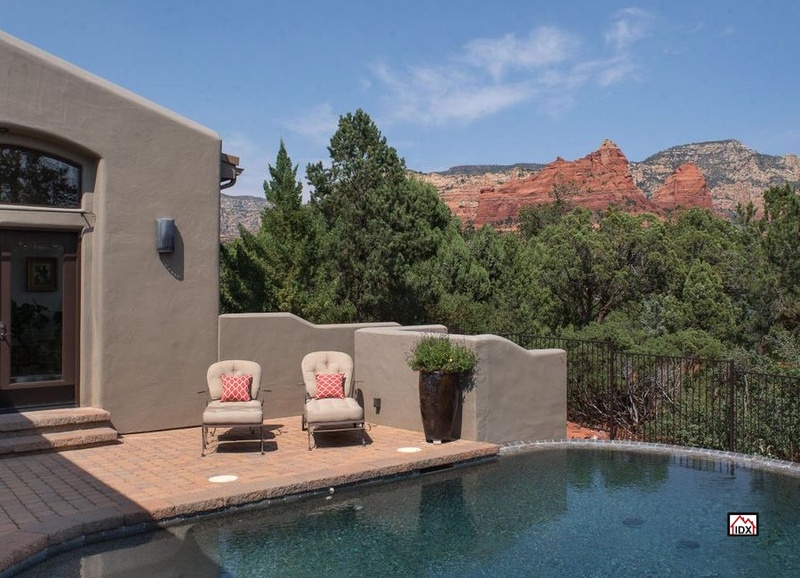 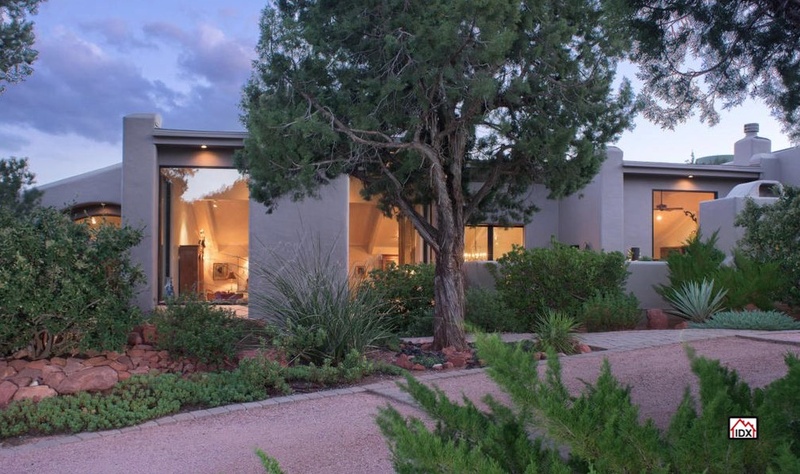 This updated luxury home with exquisite touches and amenities is located in the select Soldiers Pass area of West Sedona. 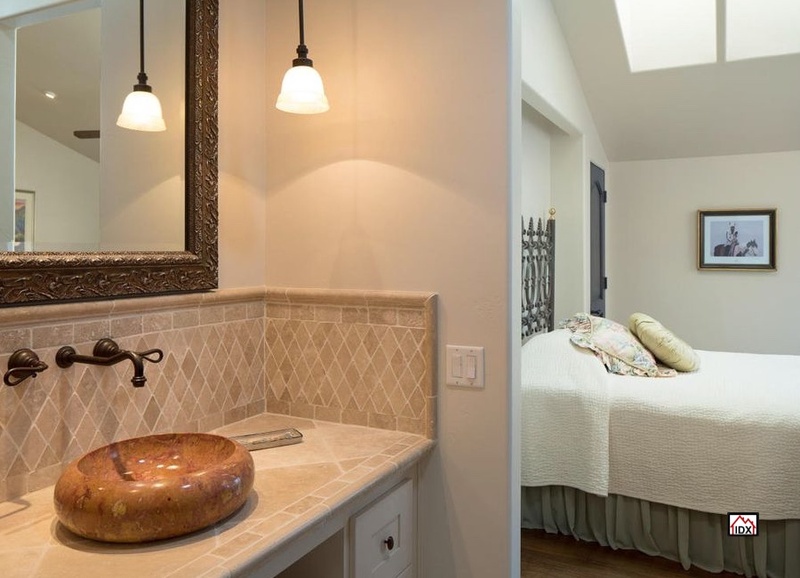 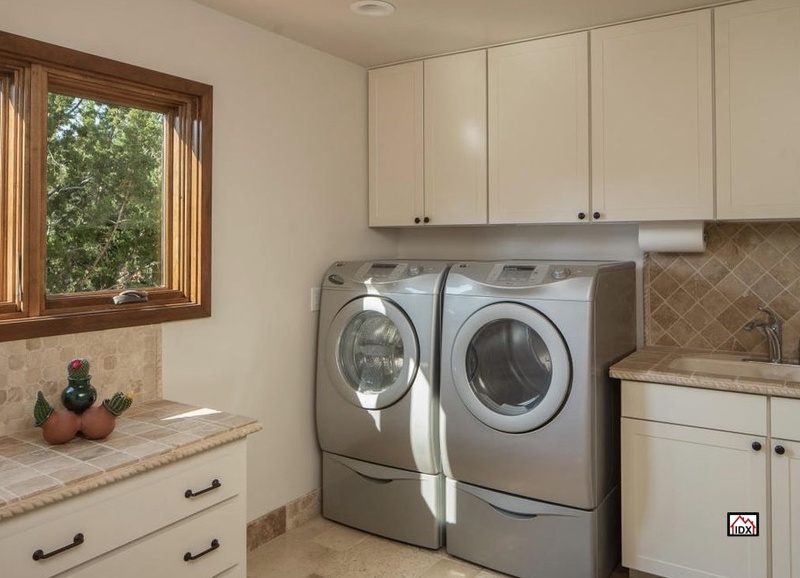 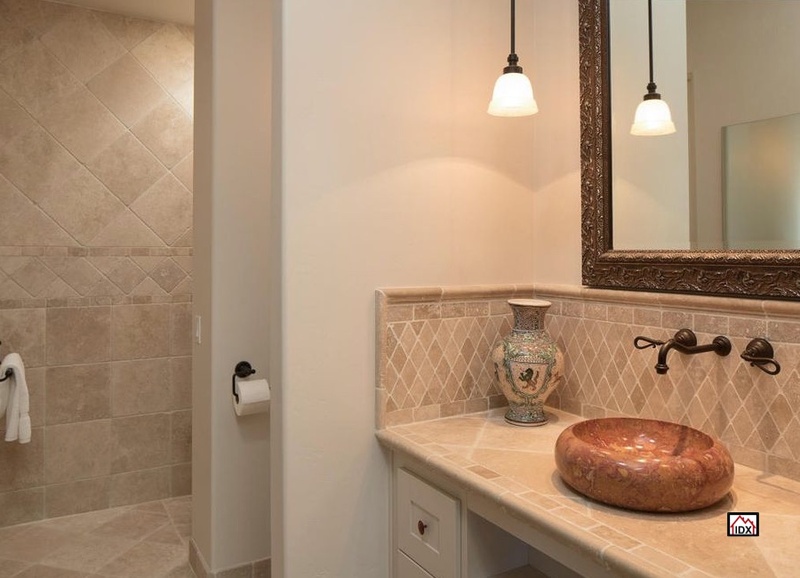 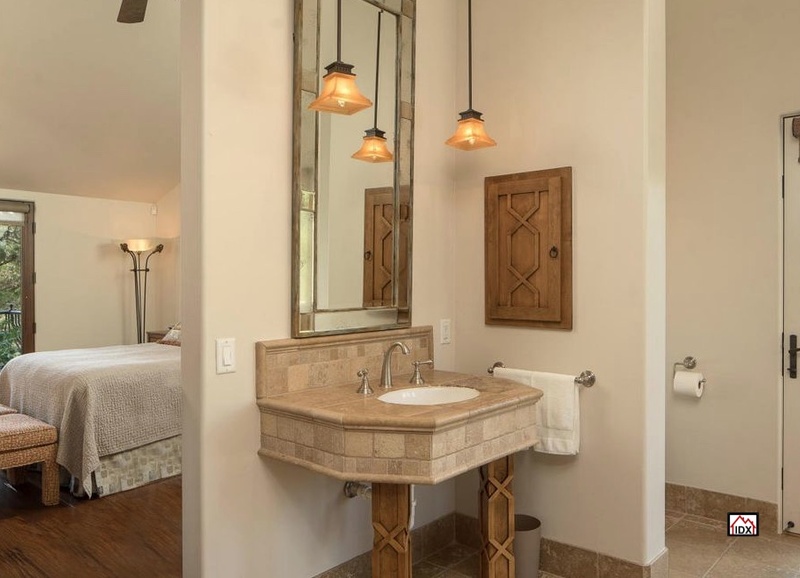 The flooring such as walnut stained Brazilian Cherry floors, and Travertine tile are emblematic of the quality that is built throughout this custom home. 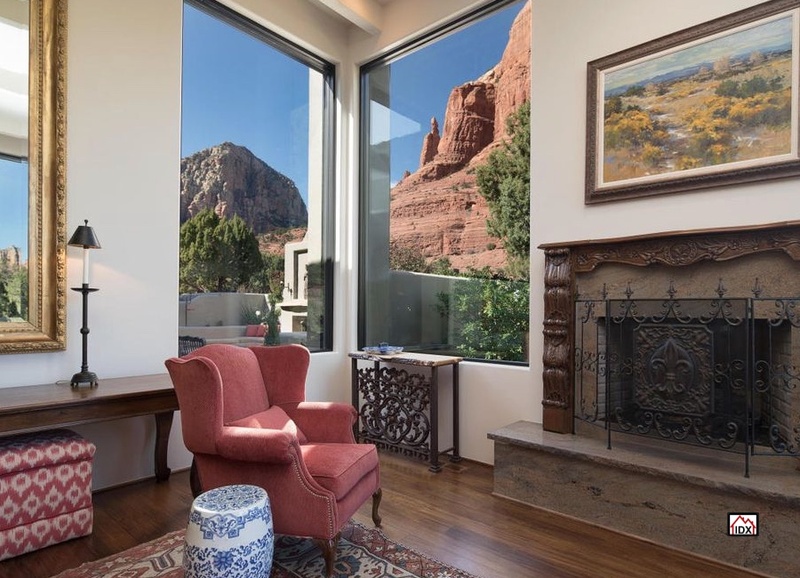 This home sold for $1.485 Million. 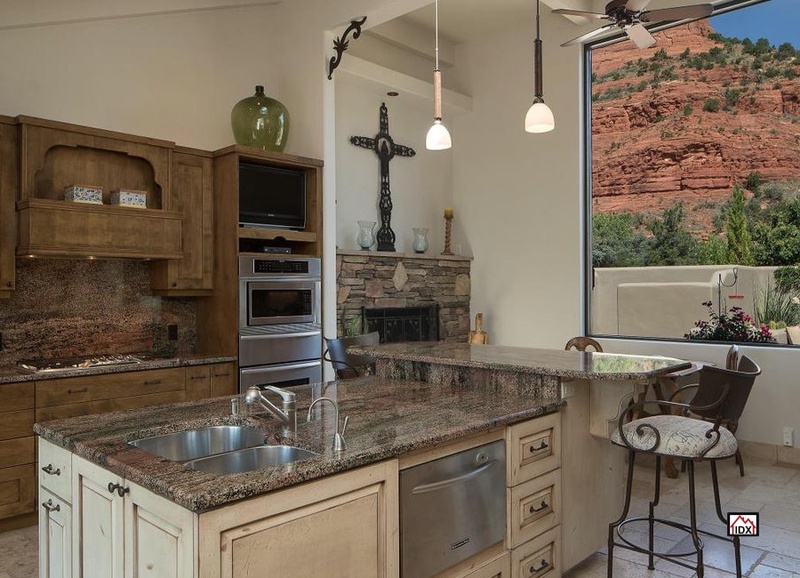 The quality continues in the gourmet kitchen with alder cabinets, stainless appliances, center island with a breakfast bar. 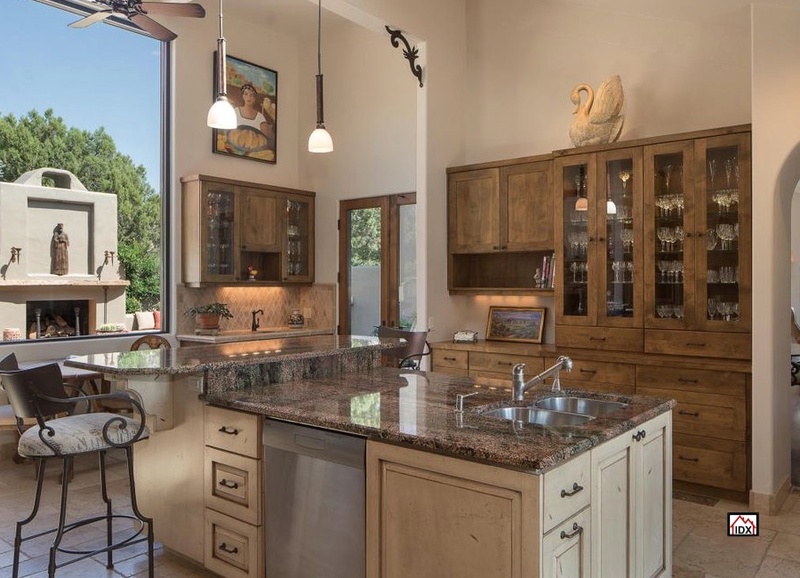 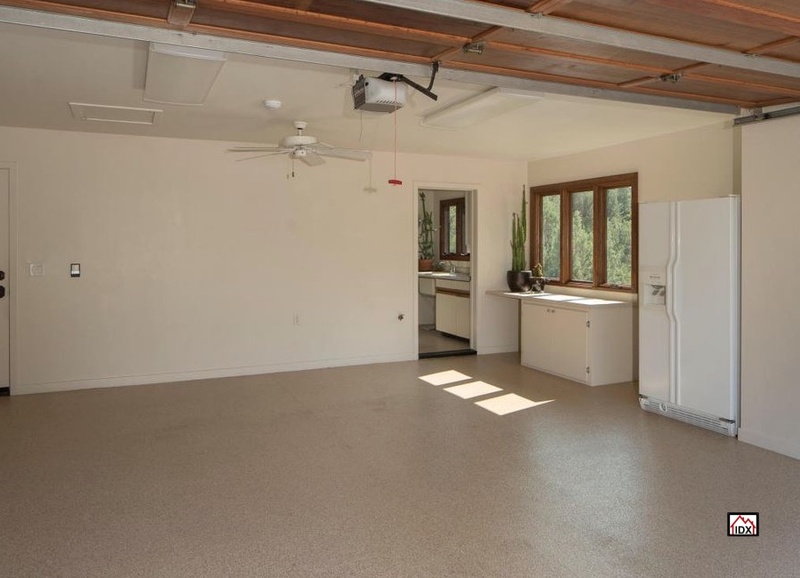 All countertops are granite. 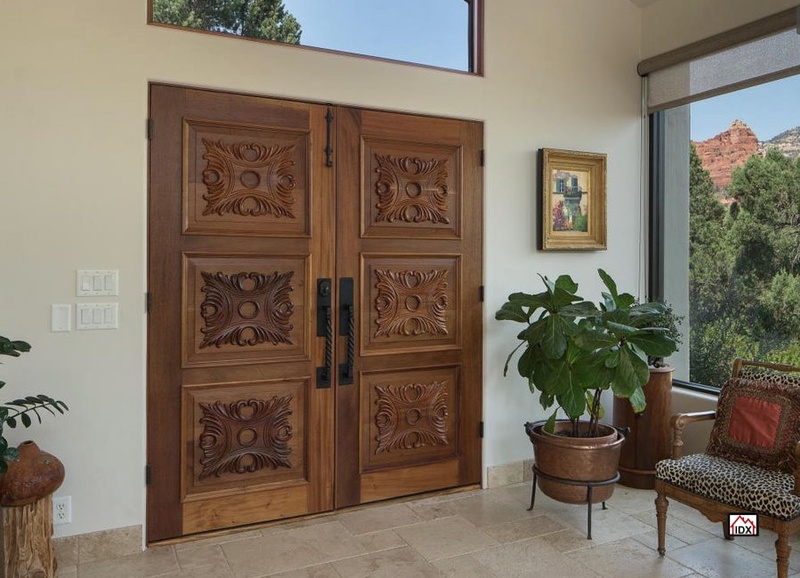 French doors lead to the courtyard while large pocket doors open into the dining room. 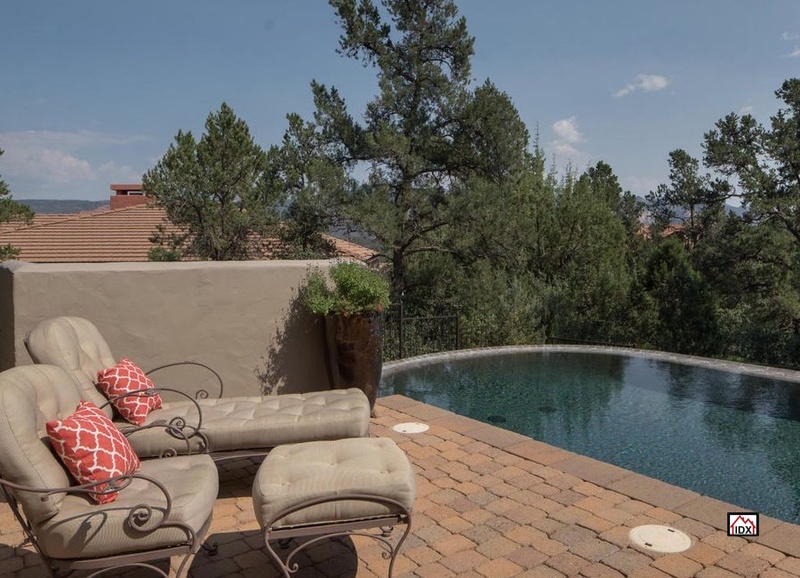 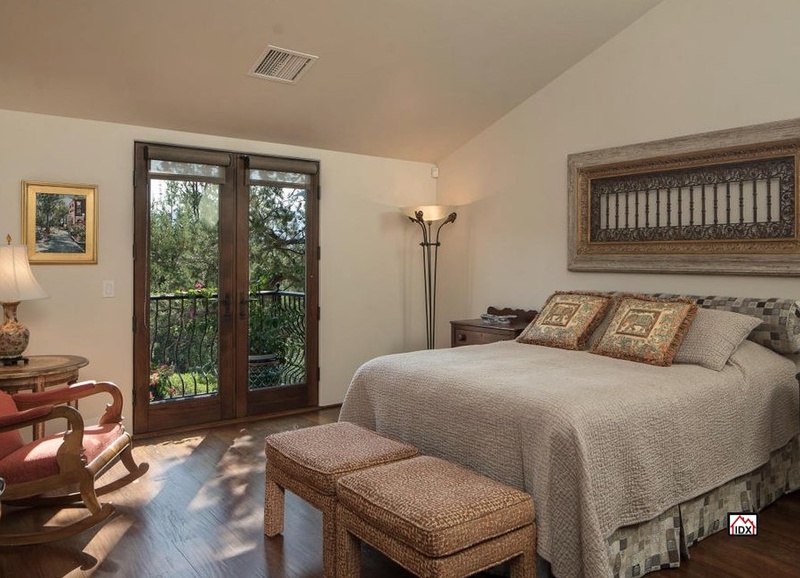 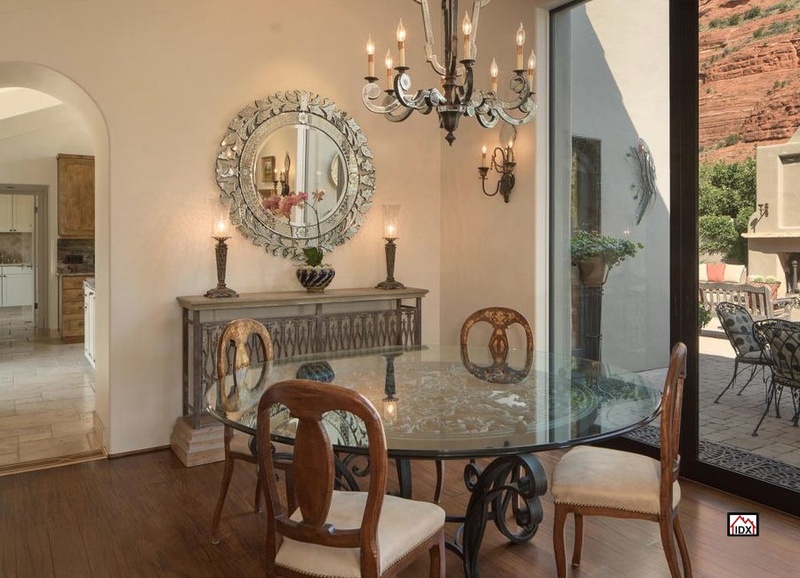 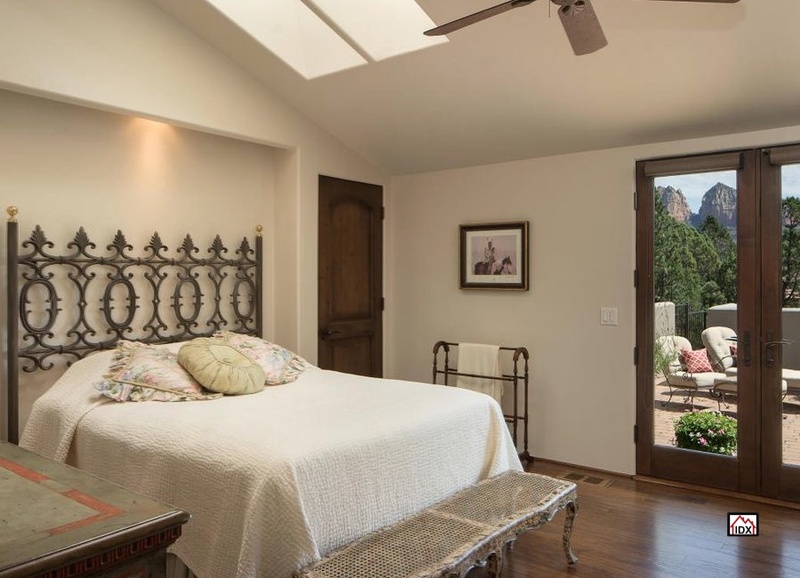 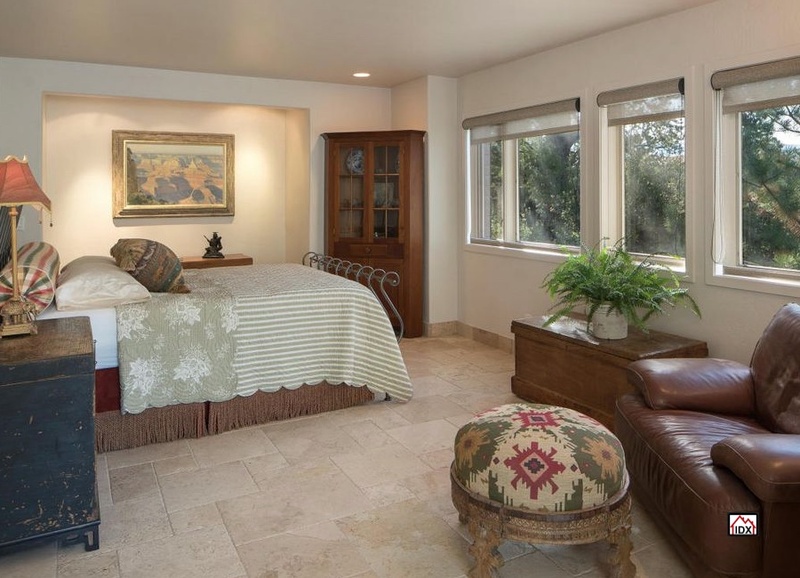 This home provides privacy for guests with full suites as well as a private owners suite experience. 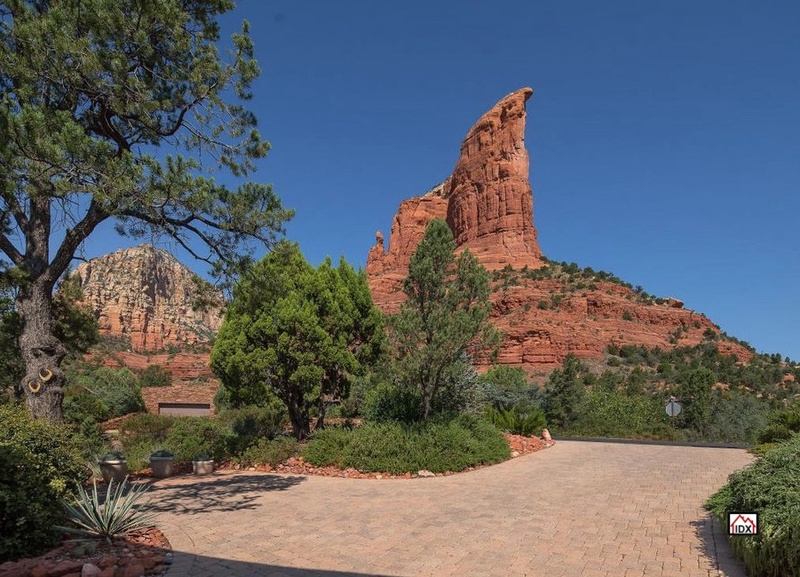 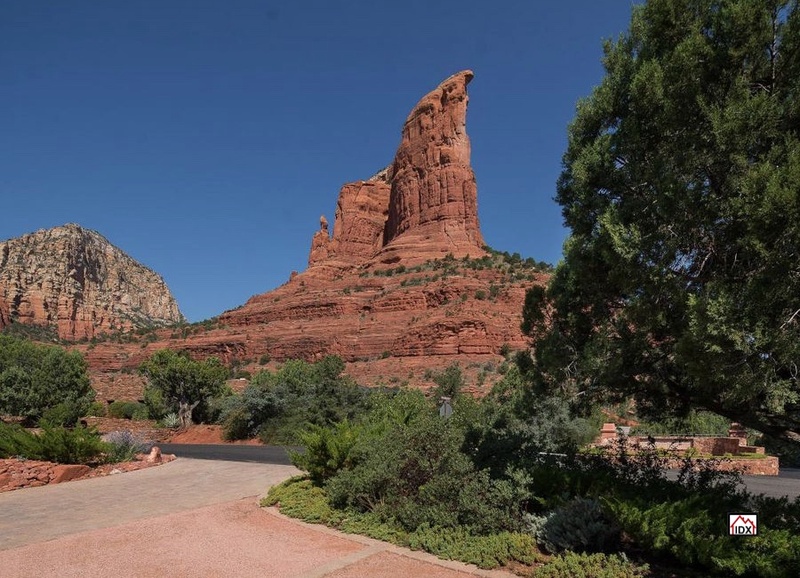 The outdoor courtyard takes full advantage of the iconic red rock views of Coffeepot Rock. 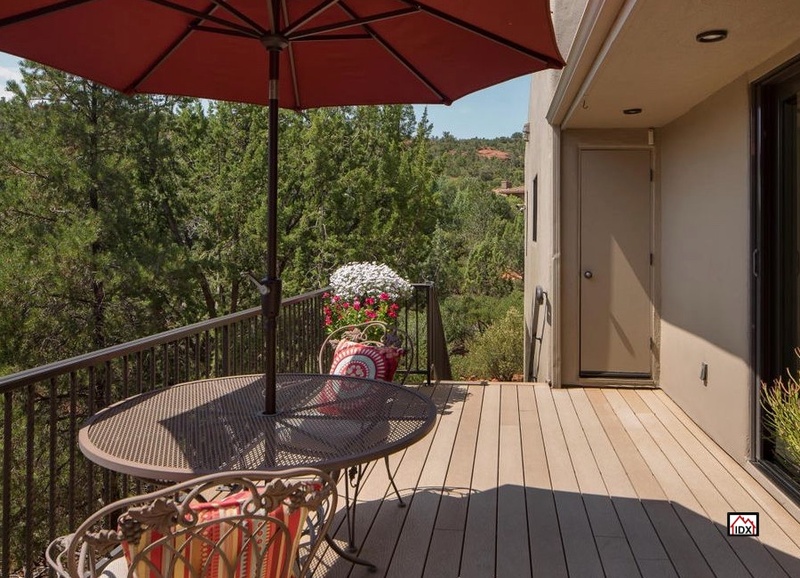 The outdoor amenities don’t stop there. 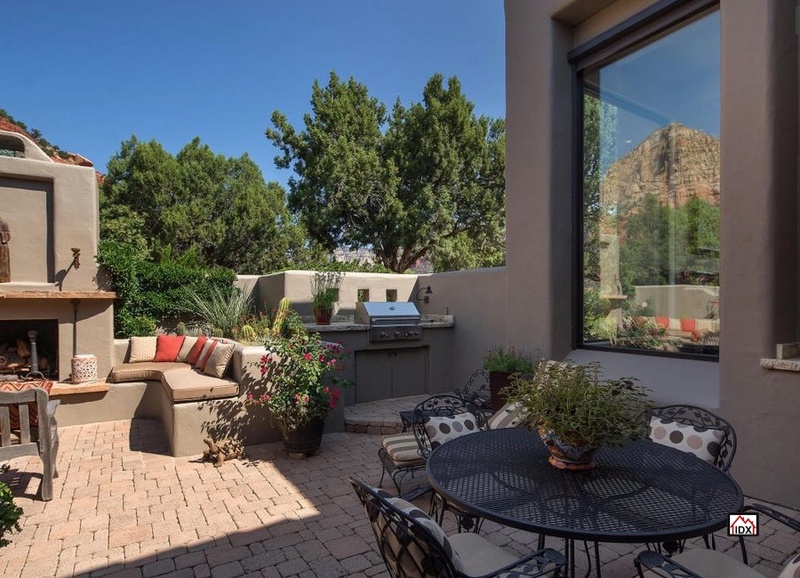 The courtyard also boasts a garden area, lots of seating a chef style gas BBQ as well as a large gas fireplace to enjoy. 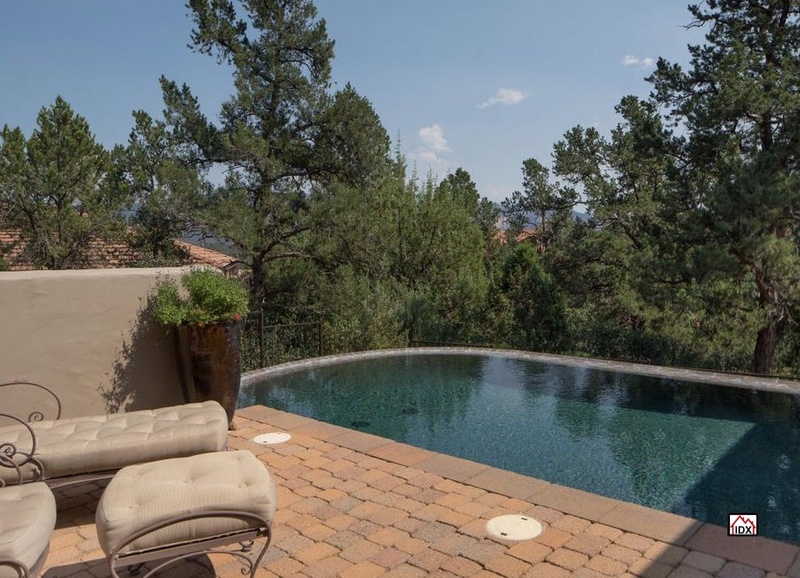 The pool has a Pebble-Tek finish as well as a sunning area that maintains privacy with large trees on the perimeter. 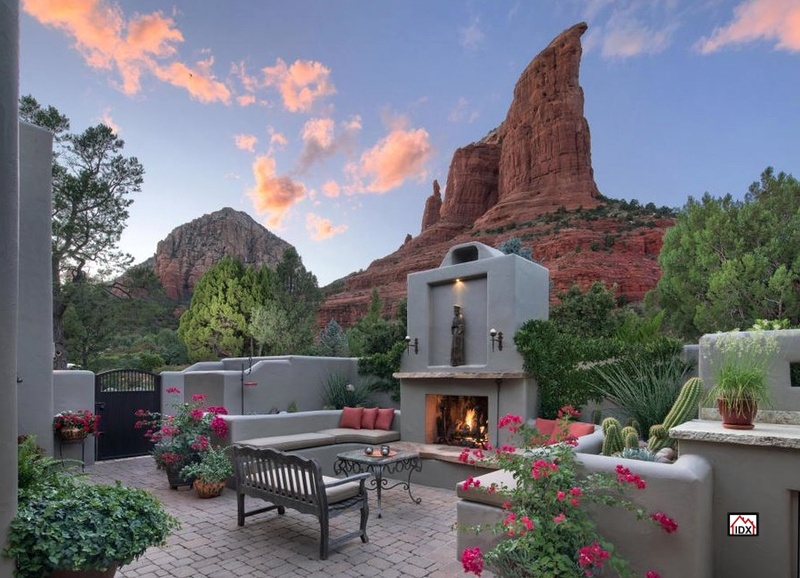 As an experienced Coldwell Banker Residential Brokerage Sales Associate & Licensed Sedona Arizona REALTOR®, my primary goal is to help my customers obtain their dreams, as well as satisfy their financial goals and objectives through real estate. 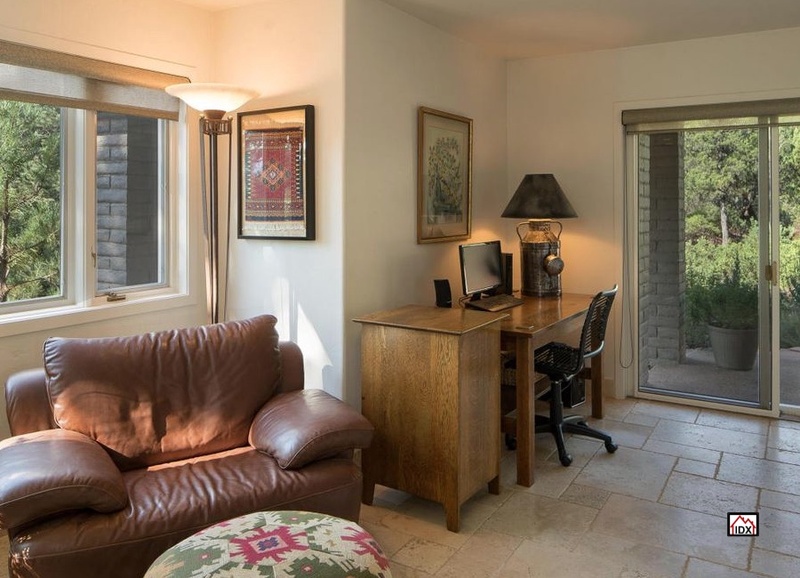 From the moment I am contacted, you will observe my seasoned ability to provide you with "World Class Service" and that "personal touch" while utilizing a complete package of technology options that are of the utmost importance and so critical in today's market. 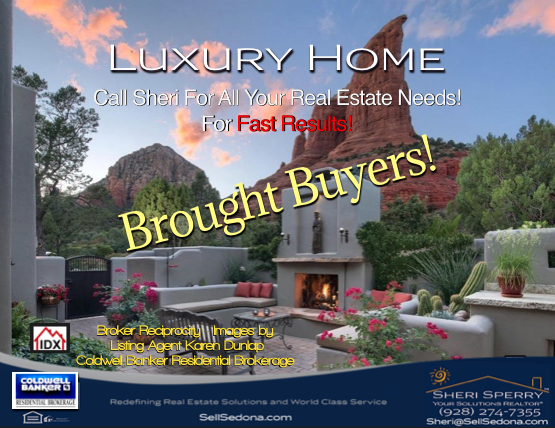 I am YOUR Solutions REALTOR®.